Chief Priest of the Zuisen-Ji Temple. 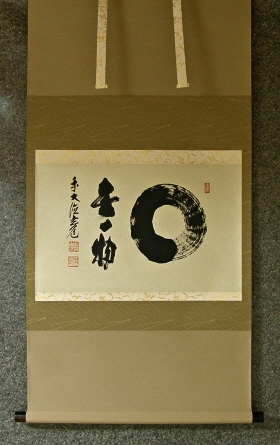 The artist is Suga Gendo, chief priest of the Zuisen-Ji Temple. The temple belongs to the Daitoku-Ji Sect of Rinzai school of Zen Buddhizm. 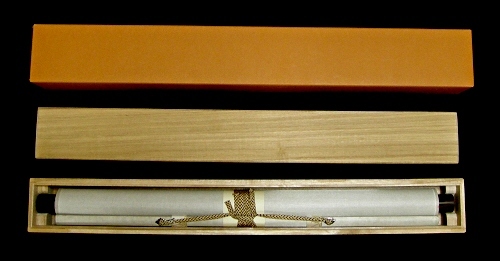 For this scroll, a Zen circle (Enso) is drawn powerfully. 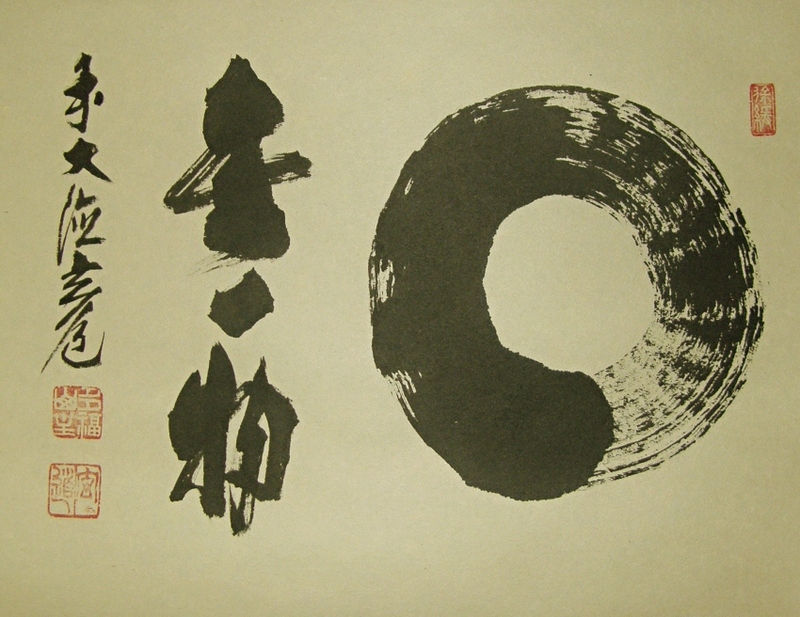 The Kanji characters beside the circle are written "Muichibutsu".